In many African communities, symbols are used as a means of expressing certain messages or enforcing particular virtues, especially those that were seen as vital to the survival and development of a community. By looking at a groups symbols, one can assess the values a particular community held dear and they can also help inform the historical activities that may have arisen to cause a people to think a particular way. For example the Ga have several symbols that represent ‘Unity’ it is clear that unity was important to the people and this could be the result of travelling to a place where one may have had to fight off many invaders. The Gas also have symbols that focus on the understanding of individuals experiences and how that informs ones development and involvement within the community – and community/ family is very important in Ga – as shown by their various traditions including the Kpodziemo (outdooring of the baby) and the Yookpeemo (Wedding). 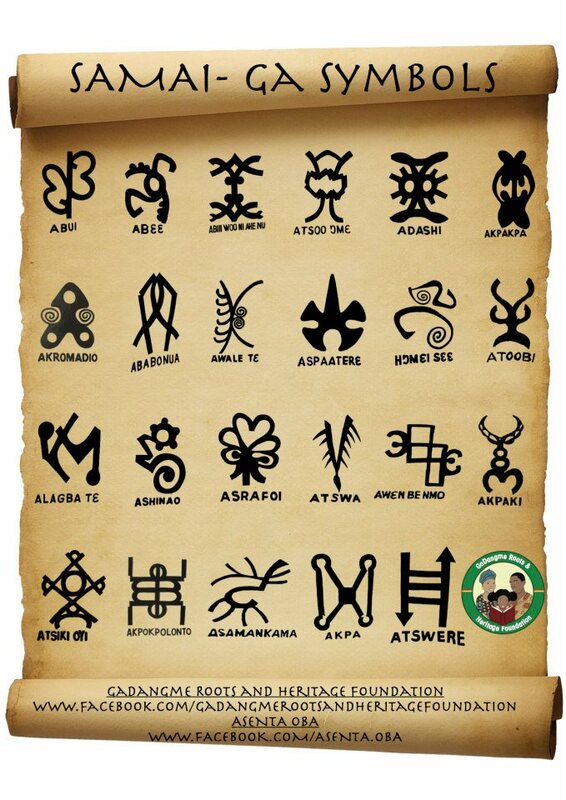 There are said to be hundreds of symbols held by various elders within the community, some so sacred that not everyone is allowed to view them and others (like the ones shown below) used as national lessons.